New Orleans, O muse of neglected treasure, bares the soul of a city who inspires and sheds the tears of a heartbroken lover while the honey-dipped blood of poets ooze from shadowed streets and moonlit balconies. She, mistress, master, and ever-present muse – she portrays the elegant side of the netherworld, a siren caught in a tangible vortex… sullied, soiled, and soured by the savage of time. A steadfastly beating heart pulsates along the architectural rhythm of this city, affixed by aqueducts, lined with levees, and paved in the peril of a historic past. For those who visit sometimes never leave and those who live here do not overlook her faults but love each flaw in spite of certain consequences. Grandiose in glory and gloom, the city’s résumé reads like a Greek tragedy, mythical and epic in exotic tales, historical battles, and archetypical characters. She is a cultured animal, doused in epic love affairs and sleazy neighborhoods such as the former red-light district of Storyville. But fine culture can be created from the underbelly of society, and like Toulouse-Lautrec’s Montmartre paintings, a commercial photographer named Ernest J. Bellocq frequented the houses of Storyville not for services but in search of an artistic muse. Many would assume the photographs of a brothel-bound bevy of working women would include inappropriate poses and bad lighting, but instead Bellocq captured something rare and surprisingly empathetic in his historic photographs. By day, the Storyville District was not the bawdy, busy Basin Street nightlife, giving Bellocq a shot out of the dark to photograph the women in natural light. Each portrait, taken in various degrees of undress, shows off fine lace garments, dark stockings and ruffled trousers, favorite furs, hats, and even household pets. The photographs, discovered years later by Lee Friedlander who restored the images, are the only true-to-life visual record of Storyville’s extraordinary part of American history. These Storyville photographs by Bellocq inspired a controversial yet historically significant film by Louis Malle, a French cinematographer who filmed “Pretty Baby” at The Columns Hotel in 1978. The film follows a young girl, played by Brooke Shields, born into a brothel and experiencing young womanhood within a world of prostitution and debauchery. Costumes and cinematic content came directly from the Bellocq photographs of Storyville, marking another example of life imitating art and art imitating life. Inspiration embodies this city. She inspires in revelry, she inspires in hospitality, she inspires in abundant vegetation sprouting between concrete and brick, pushing past manmade elements in order to display natural inspiration. 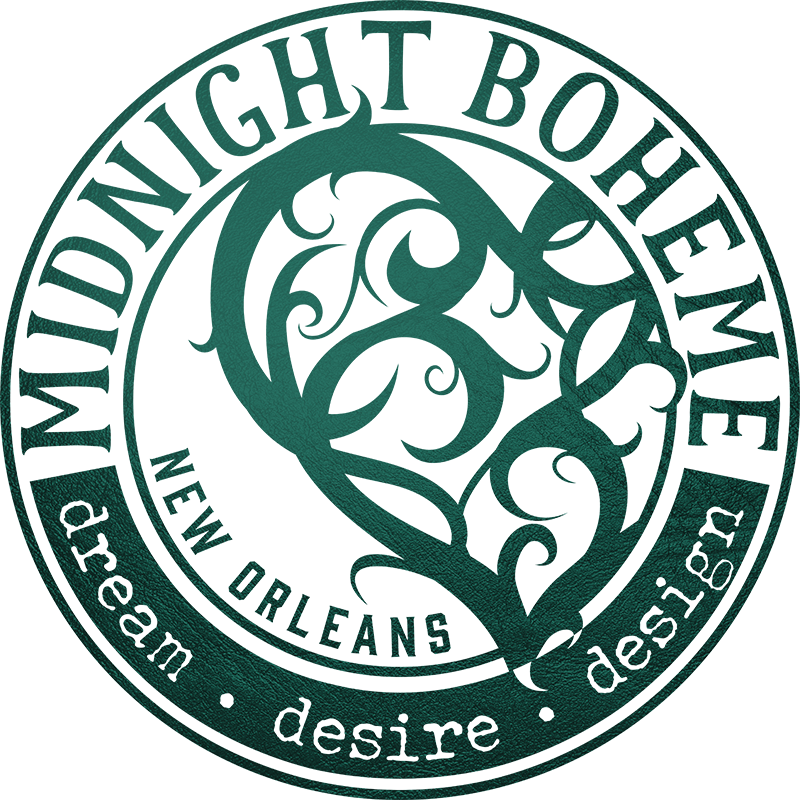 Climatologically, culturally, architecturally, musically, and spiritually, New Orleans coerces inspiration to the patchwork surface of her sociological fabric. Maybe it’s the salt-sweaty climate stuck to the skin in summer. Maybe it’s the foreign cultures settled into a compelling flavor of celebration and tradition. Maybe it’s the impressionistic vision of an urban atmosphere wherein both life and art fuse into a lifestyle that is, in itself, an art form. For whatever may inspire each native, neighbor, or newcomer, holdfast to those inspirations gifted by the graceful muse of decay and dilapidation. Teemed with laughter, love, tragedy and trouble, La Nouvelle Orléans wears the scars of an unabashed life for which she does not apologize. She is bedded by breached embankments, lulled into breaking every law except gravity, and inhabited by modern civilization thinly worn like mask to cover a city that care forgot.